New Jane Austen £10 note released today – could yours be worth thousands? Will it follow the fiver that sold for almost £17,000? 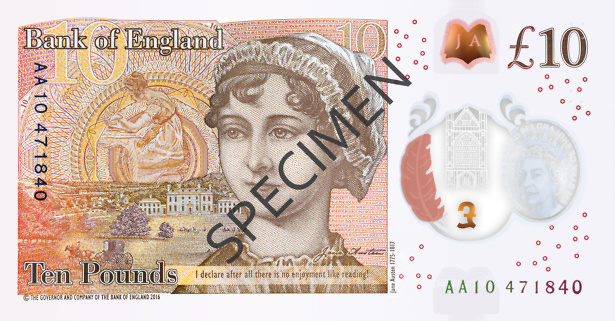 If you go to the ATM today, you may find yourself with a new polymer £10 note, featuring beloved author Jane Austen. With any new banknote design, certain notes are likely to be sought-after by collectors – but how can you spot a valuable one? The Bank of England today released the new-design £10 note, made of a hard-wearing plastic material with enhanced security features. Over the long-term, the new design is set to replace old paper £10 notes – featuring the father of evolution Charles Darwin. Which? looks at how the new note will be rolled out and how to spot a valuable serial number. A free newsletter from Which? 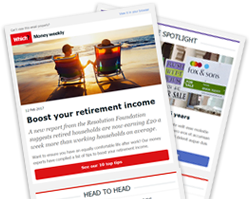 Money Compare offering unmissable news, deals and money-saving tips delivered to your inbox every week. 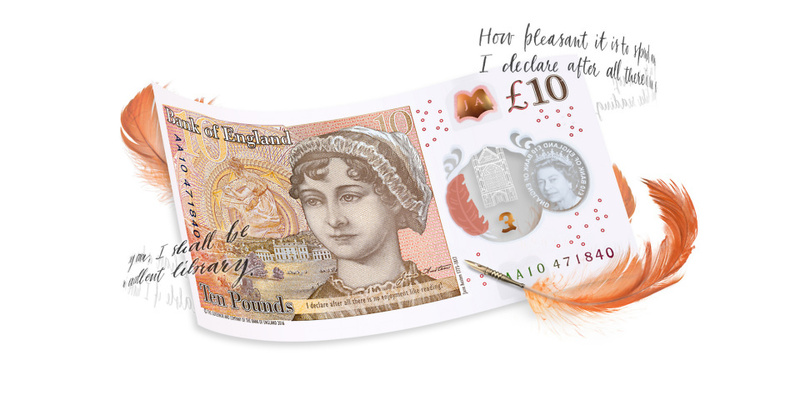 How is the Jane Austen tenner being rolled out? The new £10 note has entered circulation today, so you’re likely to see it among your change or bank withdrawals in coming weeks. Many banks and ATMs will begin to dispense the notes as of today. Around 48,000 ATMs are currently able to distribute tenners, and most of these are expected to switch within the next month. If you’re keen to see the new design, you can swap your old £10 for a polymer version at the Bank of England exchange counter – though the bank warns on its website that the launch period is likely to be busy. The Bank of England has not confirmed how many new polymer notes will be released, but by February 2017, it had already printed more than 275m. The design was first unveiled on 18 July 2017 at Winchester Cathedral, where Jane Austen was buried two hundred years prior. Will the new £10 note be valuable? Not every tenner is worth £10 – in some cases, rare bank notes fetch a premium from collectors. In particular, many collectors prize low serial numbers indicating that a note is among the first of its print run. Every note features a unique serial number, starting at AA for each new design. The first notes are always presented to dignitaries – for example, serial number 000001 is always presented to the Queen. But even higher number serial numbers can be valuable. Auction house Warwick & Warwick told Which? that any note with a serial number under 200 (AA000200 or lower) is likely to attract high demand – so it’s worth checking to see whether your note is among the first of its kind. The following serial numbers could also be valuable, according to money expert Change Checker. Serial numbers with a particular pattern can also fetch a premium – for example, some collectors look out for 123456. Certain numbers are also viewed as particularly lucky in certain cultures, such as the number 8 in some Chinese communities – so that serial number 888888 may also have re-sale value. If you spot an interesting serial number, however, make sure you don’t cram the note in your wallet. Most collectors look for notes in ‘mint condition’ – meaning no creases, stains, tears or other signs of use. How to check if the new £10 is genuine? On a real note there should be a portrait of the Queen on a transparent window on the front and back of the note with the words ‘£10 Bank of England’ printed twice around the Queens head. There should also be a copper foil patch in the shape of a book with the letters ‘JA’ on the back of the note, directly behind the Queen’s crown. Can I still spend my paper £10 notes? Currently, you can continue to use both designs of £10 note as usual. The Bank of England has confirmed that the old style paper notes will be withdrawn from circulation in Spring 2018, and that it would provide at least three months warning. But even after the old-style note is withdrawn, it won’t be worthless – the Bank of England has guaranteed it will exchange any outdated note for legal tender, and many banks and post offices are likely to offer this service as well. If you wait until after the final deadline, you’ll still be able to swap them for the up-to –date note but you’ll have to do it in person at the Bank of England or you can send them to Department NEX, Bank of England, Threadneedle Street, London, EC2R 8AH. If you’re exchanging £1,000 or more, you’ll need to fill out a form. Why switch to polymer notes? Polymer material is difficult to tear and water-resistant, meaning the notes are less likely to disintegrate in the washing machine. The notes also feature updated security features including foil patches, micro-lettering, raised print and an ultra-violet mark. This makes banknotes more difficult to counterfeit. Over 20 countries already use polymer notes, including Australia, New Zealand and Canada. Over coming years, the Bank of England has plans to replace a other paper currency with new polymer notes. The paper £5 note featuring Elizabeth Fry ceased being legal tender on 5 May 2017, and a new £20 polymer note is due to be released in 2020. The Bank of England has not yet released its decision on whether the £50 note will be updated. Additional reporting by Michael Somerville.